In Wellington at the symbolic time of 12:01pm a protest march was held in solidarity with the people of Ferguson, USA. A collection of between 50-60 (mostly high-school students) gathered to show their support and outrage at the ongoing police violence in the US. A number of people got up to speak before the march on what had happened and what was ongoing in the US. A number of speakers noted the importance of dealing with police violence and structural racism in the justice system, drawing out the problems of a prison system where around 50% or the male prison population and 60% of the female prison population are Maori, with Maori being 6-7 times more likely to be convicted of a crime as a Pakeha also charged with the same offence. The group marched towards the US embassy. Police in attendance forcibly moved the marchers off the street and into the crowded sidewalks, claiming that there was no ‘approved traffic management plan’. Organizers had attempted to organize this in advance but had been told they needed to provide 6-8 weeks notice beforehand. What this was in effect was the authorities trying to bully the young organizers from asserting their legal right to march. The behaviour of the police extended beyond that “the cops were at the back of the march making whip cracking noises and making jokes about being slave drivers, it was gross and totally not cool on a march against racism and police violence” said march attendee Chase Fox. 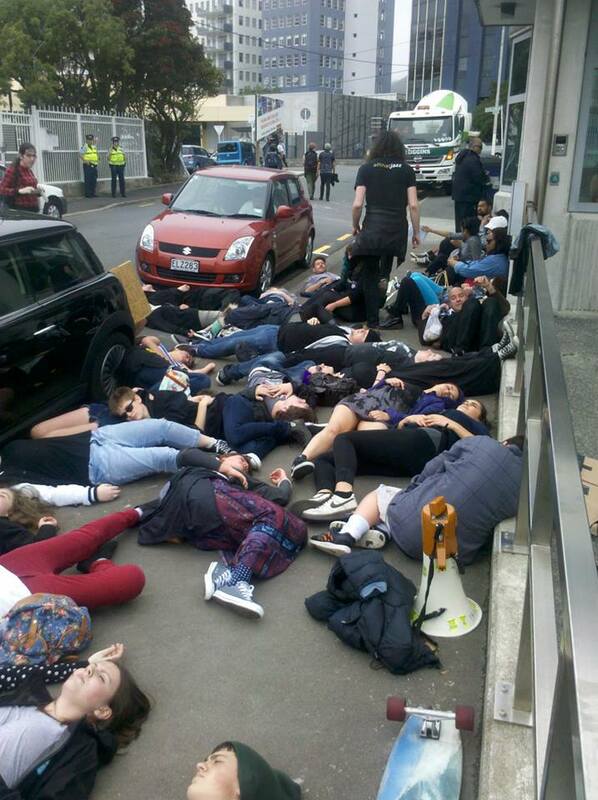 Once the march had reached the US Embassy a four and a half minute ‘die-in’ was staged in memory of all those who have died due to police violence. A number of people spoke. Mentioning that the Ferguson police force, which was overwhelmingly white already, has had most of their non-white officers quit. As well as the need for those involved to learn our own history of police brutality in Aotearoa, referencing the murder of Stephen Wallace, the Dawn Raids in the 70’s and the invasion of Rua Kenena’s community at Maungapohatu in 1916. Labour and National both have unpromising records when it comes to immigration policy. National, represented by Minister of Immigration Michael Woodhouse, has suffered a series of embarrassments this year. Groups of Filipino workers employed in Christchurch were found to be victims of exploitative company Tech5, which was keeping them in cramped conditions, taking $125 per person per week to “pay for the cost of their tools”, and coercing them into working for the company without complaint, or risk losing their visa and being returned to the Philippines. A recent raid on fruit picking operations in the Bay of Plenty found eight people working without visas, and more than 18 companies operating in breach of immigration requirements. In May, Woodhouse was found to have met with overseas investors and significant National party donors, including prominent Chinese businessman Donghua Liu, before deciding on their visa applications. Labour has also been dogged by the case of Liu, when it was found that Labour leader David Cunliffe had intervened in his application, after Liu allegedly paid $100,000 for a bottle of wine at a Labour party fundraiser. Despite Cunliffe’s adamant claim that he never got involved with Liu’s visa application in 2014, it has been revealed that in 2003 he wrote a letter asking for Liu’s immigration application to be fast-tracked. Liu donated an undisclosed amount to Labour after the application was approved. Labour’s hostility to immigrants (other than wealthy businessmen) was made clear in their election policy, where they announced they wanted to reduce immigration to avoid raising housing prices. Despite the party’s frequent attacks on National’s immigration stance, Deputy Labour Leader David Parker made it clear that the Labour party intend to control the number of immigrants arriving in New Zealand, reducing the number arriving without qualifications or skills of value to the New Zealand economy, and fast-tracking those instances where applicants can demonstrate that they can contribute to growing New Zealand’s GDP. Labour party policy involves a points-based system, which ensures that immigrants are spread throughout the country rather than being concentrated in just one or two regions. In a concession to potential coalition partners such as the Green Party, Labour promised to ensure immigrants are paid no less than the minimum wage, provide training opportunities for upskilling immigrants, and increase the refugee quota from 750 per year to 1000. In contrast, the National party claims that the risk of refugees targeting New Zealand is growing, a claim echoed by NZ First leader Winston Peters. Peters has announced his party’s position on immigration, involving increased security and a reduction in the number of student visas granted, in line with the party’s conservative ideology; however, the lack of detail in Peters’ statements prevent a clearer appraisal of his position. In contrast, the Green Party, in their policy framework, include promises to increase the refugee quota to 1,000, with a focus on uniting families, ensuring that migrant workers are paid no less than local workers and employed in the same conditions, and will create opportunities for people on temporary visas to upskill so that they can apply for permanent residency. Finally, MANA-Internet policy reflects a more open-borders position, in which skilled visitors from overseas can come and go from New Zealand as necessary. Internet Party founder Kim Dotcom has been a very prominent figure in immigration discussions, as his residency was granted under dubious conditions by Immigration NZ, and subsequent to this, an illegal search of his home was carried out, including the seizure of various items belonging to him. Dotcom claims that former Immigration Minister Jonathan Coleman pressured Immigration NZ to accept his residency application, as part of a deal with the US government, and to ensure he invested in the NZ economy. He further suggests that this was to make it easier for the US government to extradite him out of New Zealand, as he was accused of copyright fraud by various American media companies. According to reports released under the Official Information Act, Immigration NZ were aware of these accusations made against Dotcom, but felt that his economic contribution was more important than his legal situation. As a result of these obfuscations and denials, Dotcom has demanded transparency in government processes, and a full review of the relevant diplomatic and intelligence agreements. MANA leader Hone Harawira has also taken up this view, as have his fellow candidates; John Minto demanded that Woodhouse explain why the NZ government was discriminating against Pacific people from Tonga and Samoa while putting out the welcome mat for anyone from Australia, irrespective of skills and criteria. 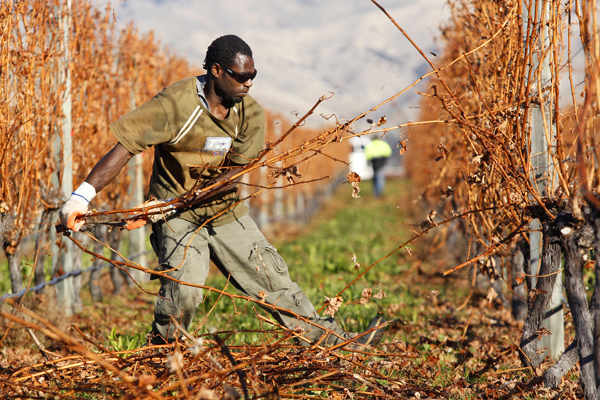 New Zealand employs numerous workers from around the Pacific each year to take part in fruit picking and other seasonal employment, and this creates a valuable opportunity for these people to work in the NZ environment, improving their English language fluency, as well as picking up skills that they can use both in New Zealand and in their home countries. However, these workers are often discriminated against, as in the example of the construction workers in Christchurch, and the MANA Movement is one of only a few parties that have promised to prevent this happening. MANA has offered to migrant workers the same pay and conditions as local workers, without the risk of having their visas revoked, and enabling them to receive the same support as a New Zealander working in that job could expect. This is just one of the areas where Fightback stands alongside MANA, in affirming the rights of dispossessed workers, and demanding fair and reasonable treatment without discrimination, whether for migrant workers employed in New Zealand, or New Zealand-born workers. In May, the US government brought criminal charges against five Chinese military officials for hacking into the systems of US energy and steel companies. They stole trade secrets and conducted economic espionage. The Chinese government retaliated by urging domestic banks to remove high-end servers made by IBM and replace them with locally-made servers. Technology companies operating in China are now being vetted and state-owned companies have been instructed to cut ties with US consulting firms. These developments are examples of increased tensions between the US and China. The Asia-Pacific region is one of the main arenas where US-China tensions play out. A new order is developing in East Asia after 40 years of relative stability. In many ways the world is moving from being ‘unipolar’ to ‘bipolar’ for the first time since the fall of the USSR in 1991. China has seen huge economic growth over the past 30 years. 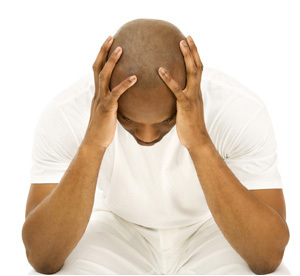 It experienced 10% annual growth rates from 1985 to 2011. While China’s per capita GDP is far behind the US, its overall GDP is gaining ground. This gives China a significant amount of strategic and political weight on the world stage. At the same time the position of the US in East Asia is in decline. Between 2000 and 2012, the US’s share of trade to East Asia fell from 19.5% to 9.5%. China’s share rose from 10% to 20% in the same period. In 2009 US President Obama announced the “Pivot to Asia” foreign policy, an attempt to check China’s emergence as a challenger to US dominance in the region. In mid-2012 the NZ and US governments signed the Washington Declaration which set out to achieve regular high-level dialogue and enhanced cooperation between the two nations. In 2013 there was a meeting of Pacific Army Chiefs which was co-chaired by New Zealand and the US. Following this meeting the NZ Defence Minister Jonathan Coleman and US Secretary of Defence Chuck Hagel made a joint press release announcing further military cooperation. Coleman said “Our defence relationship with the US is in great shape, and provides a strong platform for working closely together in the future”. In many ways US-NZ military relations are the strongest since the ANZUS relationship ended in 1984. The closer co-operation is not merely a result of a set of National Party policies. It stems from the needs of New Zealand business interests. New Zealand plays the role of a mini-imperialist force in the region attached to the US. The New Zealand government began patching up relations with the US in the early 2000s. The Labour Party sought to straddle the US-Franco tensions but ultimately sided with US imperialism by making commitments to the so-called “War on Terror” in Afghanistan and Iraq. Labour’s election adverts in 2002 sought to promote this relationship with images of then US Secretary of State Colin Powell with a voice-over message saying that we are “very, very good friends”. Up until this year National has civilianised military roles and cut military spending. However for 2014 National has allocated an increase of $100 million to military spending. This is part of an additional $535 million being allocated over the next four years, and has essentially been a restructure based on the needs of the US in the Asia-Pacific region. The world economic crisis has not had such a dramatic effect on New Zealand as it has on other regions. This is because New Zealand’s economic integration is strongest with Australia and China, whose economies remained relatively stable for the first years of the crisis. There are more New Zealand companies with overseas production engagements in China than any other country. In 2013 China became New Zealand’s biggest export destination. This was the first time in decades that the biggest destination was not Australia. New Zealand’s next strongest links are with Australia, and the Australian economy is also intimately linked with China. The Chinese economy has grown by around 7.5% over the last year. This is a slowdown on the 10% growth China had experienced for decades before the crisis began to take effect. With the slowdown, Chinese corporate debt has increased by up to 260% in the period between 2008 and 2013. Local government debt has also increased. China is facing a crisis of overcapacity and its main export markets are struggling with low growth. This further drives China’s need to conquer new markets and exploit cheap resources in the region. The Trans Pacific Partnership Agreement (TPPA) did not initially include the US but the US joined it and has sought to dominate the negotiations. From the US Government’s perspective, the agreement is an attempt to counter China’s emergence as a power in the region. The agreement would serve the interests of big corporations and empower them against states. It would establish trade tribunals to regulate disputes between companies and states. This would equate to bringing neo-liberal economic policies into law. A corporation could sue a state for introducing laws that undermine profits and violate the TPPA. Such measures would hamper the ability of working people to fight for reforms. In the negotiations the US have often used heavy-handed tactics and this has caused other countries to hesitate to sign. The National government is currently trying to turn its own stalling to an advantage by saying it will not sign without the support of the population. However National has engaged undemocratically in the negotiations and the Labour Party has not opposed them. The truth is that National is currently recoiling because aspects of the US’s corporate agenda are at odds with aspects of New Zealand’s corporate agenda. This is just one of the dilemmas NZ big business faces. While the capitalist class is collaborating in order to advance its interests, the left and workers’ movements must also seek to build links between working people and the poor in the region. The Pacific Islands will be of particular importance. The fight against climate change in New Zealand and other advanced economies must be intensified to help prevent further climate change displacement of the people on these islands. For those who have already been forced to flee, we must fight for their rights as refugees. In some Pacific nations up to half the population rely on money sent from family members in New Zealand, Australia, and elsewhere. It is imperative that socialists and the workers’ movement play a leading role supporting full equal rights for Pacific workers. The situation in the Asia Pacific region is becoming more fraught. While the New Zealand ruling class has hedged its bets with US imperialism, the economy is also highly dependent the US’s main imperialist rival, China. On the face of it, New Zealand’s domestic situation appears relatively stable. However, an analysis of the regional situation reveals that there is much scope for destabilisation in the years ahead. It is clear that economic and political rivalries will continue to sharpen in this part of the world. The only way this can be resolved in a positive way is if working people throughout the region unite their struggles and fight for an alternative to the system that pits nations and people against each other. While democracy struggles in places like Fiji and Tonga must be supported, we should argue that only by transforming society along socialist lines will we really be able to address the issues ordinary people face. A socialist federation of the region would promote cooperation and the democratic sharing of resources. This is the alternative to oppression and imperialist aggression. National today appears to be seeing a level of popularity unheard of in the MMP era. But behind the polls, the reality is much more mundane. Most political polls exclude undecided voters and those planning not to cast a ballot, yet these groups can occasionally make up as many as 15% of respondents. At the last election, the number who didn’t vote was even higher. In 2011, just over a third of the population voted for National, a quarter didn’t vote at all. The party has barely campaigned, beyond some tough-on-gangs murmuring, the meaningless #teamkey hashtag and and the usual billboards featuring the faces of its leader and candidates. National has very little to campaign on, much of government policy is a holdover from the previous Labour government, which in turn did little to reverse the neoliberal economic reforms of the 80s and the 90s. The changes National has made are hardly vote winners- further erosions of work rights, including such basic rights as meal breaks, attacks on civil liberties though granting more powers to the GCSB, and opening up protected areas for mining and drilling. Added to that is the deeply unpopular asset sales program, which triggered a citizen initiated referendum. National has also made cuts in education, social welfare and ACC- the latter of which they reneged on somewhat after an effective campaign to restore funding for sexual abuse survivors. National plans to win this election through inertia, hoping that enough people will be too disillusioned or disinterested to turn up at the polling booth. Its a reasonable strategy, when the past three decades have seen little difference between National-led and Labour-led governments, why bother when the outcome is going to be one of the two? A change in government could be quite significant this year though. Labour has previously shunned the Green Party, last time it was in government aligning with parties to its right- NZ First and current National partner Peter Dunne- but the Greens have grown their support over the past decade and can’t be ruled out. Of course, Labour has already stated it expects to rely on votes from National to pass legislation the Green Party would oppose on environmental grounds, so the presence of Green MP’s at the cabinet table is unlikely to be a shock to the system. 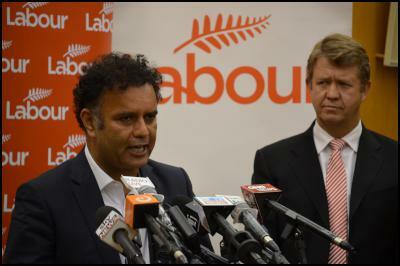 The major challenge to the status quo comes from Internet-MANA, while Labour has ruled out having them in government the electoral alliance between the MANA Movement and the Internet Party has been clear from the start that a vote for them is a vote to change the government. Last term Labour adopted MANA’s ‘feed the kids’ bill, voting on the bill has been delayed until after the election meaning a change in government will see it passed. MANA was the first party to call for the expulsion of the Israeli ambassador following Israel’s latest bombing in Gaza, within a fortnight the Green Party had echoed the call, the issue is now on the agenda. Small but significant victories like this make giving a tick to Internet-MANA on election day a worthwhile action. National evidently recognises this threat, as Internet-MANA is engaging previous non-voters with social media, the ‘party party’ events, and packed out meetings across the country. As a result John Key has been pouring scorn over Internet-MANA to a much greater degree than he has toward any other party. Recently Key made the the sexist statement that Kim Dotcom was a “sugar daddy” to Laila Harre. The Oxford English Dictionary defines a sugar daddy as “a rich older man who lavishes gifts on a young woman in return for her company or sexual favours”. Among the 35% or so of the voting age population that support the party, some are no doubt better off under a National led government, tax cuts for the rich are only a bad thing if you’re not rich, and a few people are. That said, National could not survive if it didn’t achieve a level of support from some of the working class. John Key’s image plays to a type of identity politics. While he refuses to appear in front of the no-holds-barred interviewers of Radio New Zealand, he is a regular guest on sports radio and talkback stations. Key has created an affinity with a number of male voters, the sort of people who praised him for his “not all men” response to Labour leader David Cunliffe’s speech on domestic violence at Women’s Refuge. He’s not losing any votes from that part of his base by standing by his “sugar daddy” comment either. Identity politics is nothing new for National, under the leadership of Don Brash the party went from their worst election result in history to a near win in 2005 after a campaign full of rhetoric about Maori privilege, ‘one law for all’ and the infamous Iwi/Kiwi advertising campaign- implying that Labour was for Maori and National was for ‘everyone’ of course, the campaign was targeting just one ethnic group- Pakeha. National would not go in for that rhetoric today, if for no other reason than the fact that it would seem hollow in light of its arrangement with the Maori Party, but the Maori Party is set to leave parliament (largely due to the stellar efforts of MANA’s Annette Sykes who is challenging Te Uraroa Flavell in Waiariki) and National has indicated it would like voters in Epsom to elect ACT’s David Seymour, and ACT has no qualms about playing the race card. With the election of philosopher Jamie Whyte as leader, and the merger-in-all-but-name with the Libertarianz (former leaders now hold high list positions in ACT) the party once known as the Association of Consumers and Taxpayers looked set to become a doctrinaire libertarian party- with poll results to match: in one poll they were equalled by the Aotearoa Legalise Cannabis Party, an organisation promoting the one libertarian policy the majority of the public actually agrees with. That stunt came in the form of the bizarre allegation that Maori occupy a similar social position to the aristocracy in pre-revolutionary France. “ACT’s policies are about reminding you of scary burglars, zealous bureaucrats with a hidden green agenda, and resentful Maori…This is the imagery the vague words are designed to create. Liberals and libertarians are getting a rough deal from ACT” McCallum, who resigned from ACT following the speech, told Otago student magazine Critic. ACT seems to be confused about what sort of party it is, libertarian, or conservative? perhaps the next parliamentary term will be the last one ACT is relevant, depending on the outcome in Epsom, they may become irrelevant even sooner. 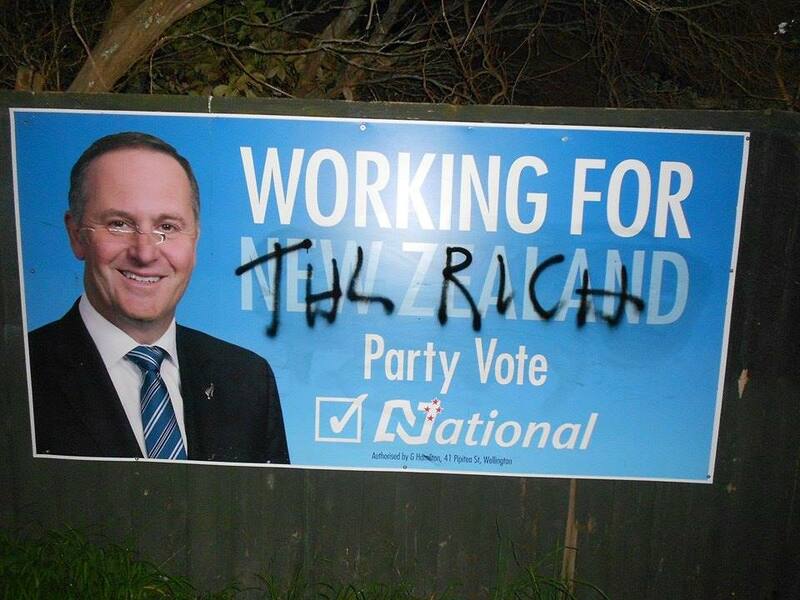 Unfortunately National has another right-appendage waiting in the wings. Colin Craig may be unsure about the historical validity of the moon landing, but he’s smart enough to see that ACT’s disarray, combined with the retirement of NZ First firebrand Winston Peters, which really can’t be that far away, opens up a space for his party. If not this year, then in 2017. As such, The Conservatives have joined in the attack on supposed Maori privilege, using the much more groan inducing slogan “one law to rule them all” and borrowed a number of NZ First policies. Right now, the party is still a joke, but if given an Epsom-style deal in 2017 they may need to be taken seriously. For the mean time though, the best strategy is to keep laughing at them. If you need help, Colin Craig once did a glamour photo shoot which is easily found on Google Image Search. While finding anti-immigrant rhetoric not the draw card it once was, NZ First has spoken against “separatism” and ruled out working with any “race based” parties, meaning there are now three parties flogging that dead horse (actually four, if we count the tiny 1Law4All party which managed to register) NZ First has some progressive policies, but recent rhetoric has shown they are likely to support National, for example a bottom line is keeping the retirement age at 65, a policy where National is actually more progressive than Labour. In 2011 some commentators argued that returning NZ First to parliament would mean a change in government, and a vote for them would be ‘strategic’ that was wrong then and its wrong again now. At best it would mean a centre left bloc in opposition with less Labour MP’s and more NZ First MPs (this is how Richard Prosser ended up getting a platform beyond conspiracy theory magazine Investigate to espouse his Islamophobia) at worst, it means keeping National in power with the help of a party elected in part by progressive voters. The best outcome for anyone wanting a change in government would be for NZ First to drop below the 5% threshold, and the best option for bringing about a meaningful change is a party vote for Internet MANA. On December 31 close to three hundred workers at Sheraton Fiji, Sheraton Villas, and Westin Denarau Island Resort took industrial action. Workers held a spontaneous protest against the unilateral removal of their staff benefits. The strike was initiated by the land owning committee (LOC) after maternity leave and overtime pay entitlements were taken away. On September 26th acting NZ High Commissioner Sarah Wong joined Barret Salato, Director of the Solomon Islands Labour Mobility Unit in Honiara to make an announcement about Solomon Islanders working in New Zealand. “In 2014 [The] Solomon Islands will be allocated 594 RSE places” read their joint statement. RSE stands for Recognised Seasonal Employer Scheme; the scheme allows workers from a number of Pacific countries to take seasonal jobs in New Zealand. 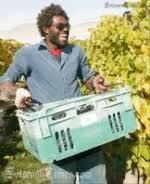 These jobs are in the horticulture and viticulture industries, where the rural location and short term nature of the work makes them unappealing to New Zealand born workers, meaning there are frequently shortages of labour despite unemployment in urban areas.